In this post i am going to explain about how to store the form datas to the database and also send the same information to the mail id at a same time simultaneously. This is very useful for the developers who wants to store and sent info to mail at a same time. 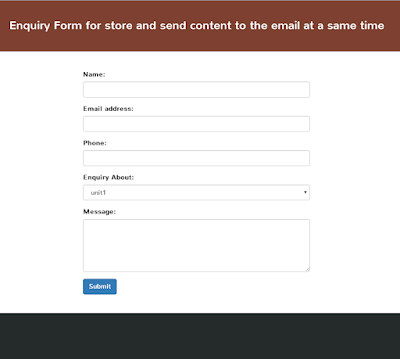 In this post on submit the form, The form information goes the the mail and also insert the form datas to the database simultaneously.